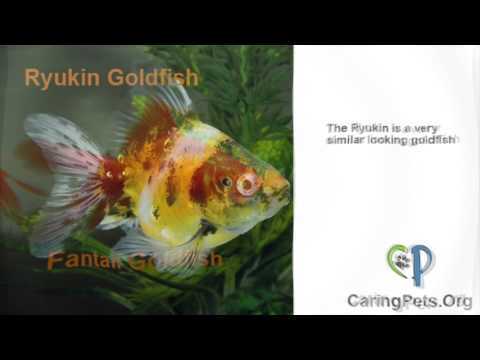 This the complete pet goldfish care guide for every beginner and novice owner. Here you can get information on: setting up a tank, how to perform routine maintenance, feeding tips, treating sick fish, tank accessories, decorations, aquatic plants and more. With proper aquarium maintenance, a goldfish can live a long and happy life. In our fish bowl section, you can find a good amount of information for beginners on how to get started. Read about: caring for a goldfish in a bowl that you might have won at a fair, Learn about the anatomy of your new pet, or, find a few fun facts. For those of you with a freshwater fish tank, our aquarium section is full of resources on how to maintain a proper tank, running tests on the water parameters, diagnosing and treating a fish for an illness and you can get information on all the different types of breeds that are available. If you’re considering building a garden pond, our section on ponds will help answer all your questions. Find info on: setup basics; maintenance through the seasons; dealing with the weather and outdoor temperatures; learning how to care for aquatic pond plants and marginals. Update:It’s important to note that not all fairs treat their fish improperly. A lot of them provide large tanks full of cool oxygenated water. Some even provide winners with a ticket to be redeemed when they decide to head home. This keeps the fish from being trapped in a small plastic bag for an excessive amount of time. The goldfish game is a carnival game where you try to throw a coin or ping pong ball into a small bowl. In these bowls live cramped fish. If you land the ball or coin into one of the bowls, you win that fish inside. A living creature kept in this way often lives a miserable life which also tends to be a short one. Many animal organizations and goldfish lovers have declared this game to be cruel and unusual punishment for the poor little fish. Some fairs and carnivals have discontinued the game and allegedly, some states have even banned the game. Considering a goldfish needs an abundant amount of well circulated and well oxygenated water, plus a 10-20 gallon tank to live and thrive, it’s no surprise a lot of people are against this game.However, the game is still a popular carnival game at fairs today. People who disapprove shouldn’t blame the parents and they certainly can’t blame the children who want to win a new pet; I mean, who doesn’t want to win a goldfish? Parents might at first be hesitant to let their children try to win one but then figure it’s a good lesson in responsibility. They think, how hard can it be to take care of? Unfortunately proper goldfish care is not as easy as they might think. You can blame this way of thinking on the iconic image of a goldfish in a small round bowl. This bowls is small and looks very manageable but in reality, it can be a death trap if a water change is not performed daily.All is not lost though, with some care advice for beginners and little bit of knowledge, will give it more than a fighting chance. If a new pet owner is willing to do what ever it takes to care for it, it can live for five to ten years and grow up to 12 inches (30cm). This beginners guide covers the basics on proper care. It’s a guide for anyone who just bought their first goldfish from a pet store, for the lucky winner who won one at a carnival or for those caught off guard by receiving one as a gift. Additional tips for first time owners can be found in the Beginner Goldfish Bowl section of this site. For novice goldfish owners seeking more advanced goldfish care tips, please see the articles posted in the Pond and Aquarium sections. Ideally, before bringing any fish home, it’s recommended to first setup an aquarium and let it run for a few weeks. This allows the tank to cycle and avoid what is called new tank syndrome. By running filters for several weeks prior to introducing your new pet, it allows sufficient time for important beneficial bacteria to become established. This bacteria converts harmful ammonia produced by your fish into nitrates which are less harmful. If this bacteria is not present, the fish can get ammonia poisoning and die. Those that don’t have this luxury, beneficial bacteria can be purchased at most pet stores. It’s important to frequently test the tank water to check for elevated ammonia levels and to check the pH levels. On that same note, the water should be free of chlorine and chloramine. It’s vital to use a water dechlorinator to remove these contaminants. An aquarium with clean water with optimal parameters is the best way to prevent fish from getting sick or dying. There are inexpensive test kits available at most pet stores or online. Routine tank maintenance is another great way to prevent them from getting sick. When a test kit show the water parameters are off, it usually means an aquarium water change is in order. It could also mean it’s time to clean an aquarium. Feeding the appropriate amount of food will cut down on cleaning. By only feeding small meals, 3-5 flakes per goldfish, it ensure all the food is eaten which cuts down on the rotting material and fish waste. Overfeeding can be a cause for concern. It can lead to problems with the digestive tract and even worse, it can kill a goldfish. Constipation often is a direct result of overfeeding. In extreme cases of overfeeding, a goldfish will gorge until it’s insides bursts. If you have a story, video or photo of your experience with the goldfish game at a fair, contact us. To be objective and honest, we want to hear about both the good and the bad so we can give praise to the carnivals that are caring for their goldfish properly and also to put the bad ones on notice. My 11yr old daughter has done a great job keeping her goldfish alive and really loves the little fish. Reading through the posts, I realize she is overfeeding it. She feeds it twice a day. If we go out of town for a day and a half and it is not fed, will it die? Maybe 24-30 hours without a meal. Thanks! Goldfish being cold blooded animals can go over a week or more without eating. Sure they will be very hungry but they won’t die. NEED HELP!!!!! just got a gold fish and don”t no how to take care of gold fish. please HELP!!!! A vase is likely not big enough. You should really have an aquarium but if you can’t get one, at least get a large plastic fish bowl. 2 gallons at minimum. With all that said, you will eventually need an aquarium with a filter. goldfish produce a lot of waste and a small tank gets dirty very fast. You will need to do partial water changes daily. feed them once a day and only a small amount. this will make sure there isn’t a lot of waste going into the bowl. my gold fish having some live water insect on his tain and body, every day i revove that live insect by small plucker, but next day they again stick to goldfish and their population in increasing too, and i changed the water 2 times bocaz of that,and they seems like sucking blood from tail, my all 20 gold fish are very ill becaz of that, please give some kind of solution 4 that. thanks. try using aquarium salt and a broad spectrum medicine that kills parasites. The pet store people will point you in the right direction. We are building a garden pond, will it be ok to put the two goldfish that we have into the new garden pond. These fish are about seven years old and have been kept in a tank inside the house? Yes, you can place them into your pond. Just lower their water temp slowly until it gets down to that of the pond. You might also mix some of the pond water into the tank. The goldfish should large enough to survive out in a pond. my gold fish is turning white it is about 3 years old in about 2weeks time it turned almost completely white.WHY? Sometime goldfish naturally change colors but a color change to white can also be a sign of ammonia burns or some type of infection. If the fish looks healthy, it’s probably just a natural color change. Hi, My fish is alive but standstill. what is happeng????? My fish is not moving but alive!!! what is happening??? ?Pls help. What other symptoms do you observe? It could be nothing at all of something serious. I just need a bit more info to help. It could be ammonia burns or an infection trying to heal. I would buy some water tests (ammonia, ph, nitrates) to see if your levels are off. You should also do a water change now to remove any ammonia buildup. My fish has a tumer and it only five years old and what is happening?!? It might be a tumor, a growth or some sort of infection. It sounds a bit more advance or an ailment than I could help you with. try searching for a fish forum and posting this question there. Or you might go to a pet store that specializes on fish and show them a picture of the fish. They might have a solution for you. Surgery is an option to remove the tumor. No goldfish belongs in a bowl. They need to be in a cycled tank with a filter. Comets and Commons belong in ponds. I agree with you that no goldfish should live in a bowl but people are still going to use bowls no matter how adamant the experts advise against it. I try to give these individuals the best advice i can for keeping their pets alive and certainly strongly advise an upgrade in tank size, the sooner the better. I am set to clean my tank for the first time, just got it two weeks ago. What drops and how many should I put in my tank to make it better? What product etc? Get dechlorinator drops, also called “water treatment” or something along those lines. Usually you add about 5ml for every 10 gallons but just read the directions and use the measuring cup that comes with it. I have an aquarium and am ready to clean it for the first time. (I just got it two weeks ago) When I change the water what should I put in there to help make it a better tank for my gold fish? Drops of what? and how many? I think usually they get stressed after a cleaning and perhaps they need a few days to adjust. When a fish is stressed, it likely won’t eat. If things don’t get back to normal soon, test the water for ph, ammonia, nitrates and so on. It’s hard to tell. I suggest searching for a goldfish forum to ask this question. If you provide them with a photo or more details, they could probably give you a good answer. 18 years is a pretty good run for a goldfish so it would be easy to say that is the issue. For you to have kept it alive for that long, you obviously know how to keep the water clean. I’m guessing it might be something related to the old age and perhaps something to do with its organs, but I just don’t know. i bought golfish from walmart today, and one seems to be completely still, with the gills not even moving..does that mean it’s dead? It’s probably nervous and needs time to get used to its new surroundings. The biggest proeblm with angelfish fry surviving is keeping the water and whatever they are in CLEAN! Unless the parents are exceptional in taking care of the eggs, many will fungus and not be viable. Any crud on the bottom of their tank/pond will harbor bacteria and fry are very susceptible to infections and life threatening deformities in their first week to ten days. If you are seeing the eggs, the best thing to do is to remove them and incubate them in a clean small aquarium indoors. Then you can control all of the variables. You will be able to keep it clean, feed them properly when they hatch and your hatch rate should go way up.If you don’t see the eggs, there is not much you can do. The other fish may be eating them too. You didn’t say what the other fish are, but most will eat whatever is available in a pond environment.Feel free to email me if you have more questions.Good luck!26 years of keeping and spawning many different species of tropical fish and cichlids. 24 tanks up and running at present. Mostly cichlids and scavengers right now. I have worked in both the retail and wholesale tropical fish business.The Greatest Enemy of Truth is not the deliberate lie; Rather it is all those things we know to be true that are not. I have a 3 year old goldfish that i bought at walmart. For the last 5 days he has been curled up like a C. he still eats but I just noticed that his tail fin seems to be deteriorating. What do i do? Do a water change, and then look at this post on fin rot. You should probably buy a broad spectrum antibacterial medication. Yo might also buy an ammonia test kit and also one on ph and nitrates. We put are goldfish in a vase but he still goes up above the water and breathes why? and also he is like 3 1/2 inches long is there any fish nets big enough for my little Bentley THANKS!! The problem with a vase is that it usually doesn’t have a large surface area where the water and air meet. Goldfish need a well oxygenated tank. A larger surface area, cool water in the low 70s, live aquatic plants, and a filter will all add more oxygen to the water.